It is safe to say that MOSCOT is one of our most iconic and legendary brands. With its first shop opening in 1915 on New York’s eclectic Lower East Side neighbourhood, this brand has a long and undoubtedly fascinating history of optical excellence. MOSCOT’s history goes all the way back to 1899 when Hyman, MOSCOT’s first generation, arrived to the big city all the way from Eastern Europe. 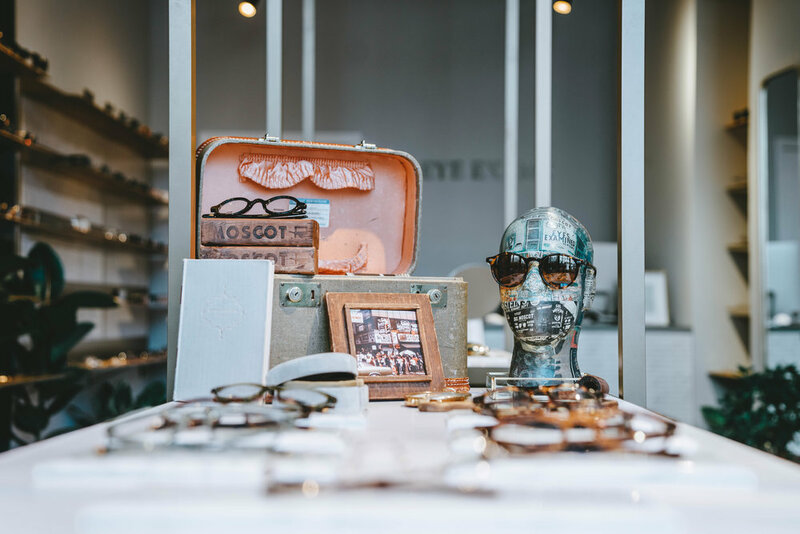 Shortly after, he began selling ready-made glasses from a pushcart on Orchard Street and as his loyal client base kept growing, MOSCOT’s founder decided to open the family’s first shop at 94 Rivington Street. From that moment on, the family business was passed on from generation to generation until finally becoming a New York institution and the global eyewear brand that it is today. After over a hundred years this brand has become ‘a product of New York’, as stated by Zach Moscot, the company’s product designer and 5th generation. When you wear a pair of MOSCOT frames, you are not just wearing a pair of glasses, you are wearing a piece of Manhattan, a piece of MOSCOT heritage and a piece of family. As a family and local business ourselves, we empathised with this amazing company since we first discovered it during one of our trips to the city. We soon realised that MOSCOT’s values completely resonated with ours, and we had to have them! The brand considers itself to be ‘classiconic’, as designers get inspiration from MOSCOT’s 1930-1980s family archives, their loyal costumers and enigmatic neighbourhood, the Lower East Side. The MOSCOT Originals Collection is based on styles from those archives, which celebrate the classic looks and timeless designs born on the early years of the brand. The MOSCOT Spirit Collection, however, slightly diverges from those archives. While staying true to the origins of the brand, the Spirit Collection gracefully innovates its designs into more contemporary styles, such as our long time favourite, the Arthur. 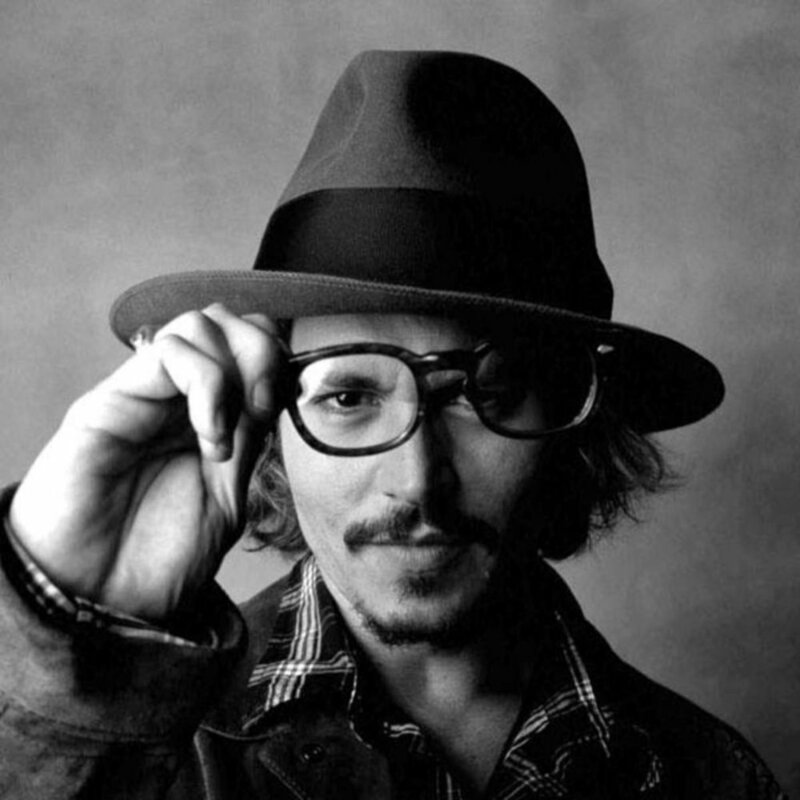 You might be familiar with their designs from seeing big stars such as Johnny Depp, a massive MOSCOT fan, wearing them, along with many other Hollywood heavyweights such as Jake Gyllenhaal, Woody Allen, Jonah Hill, Brad Pitt… and a long etcetera. 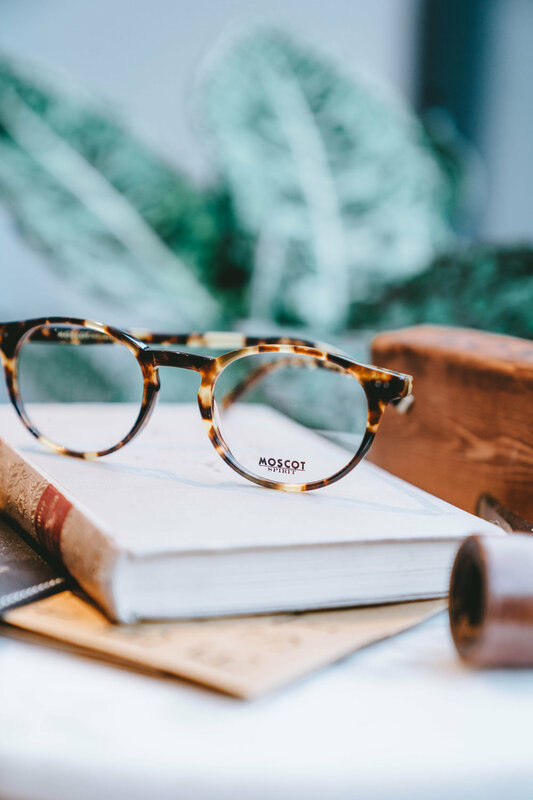 The fact that they love this brand so much comes as no surprise to us as during its 100 years in business, MOSCOT has managed to become a quick-and-easy staple amongst both the masses and the fashion savvy. 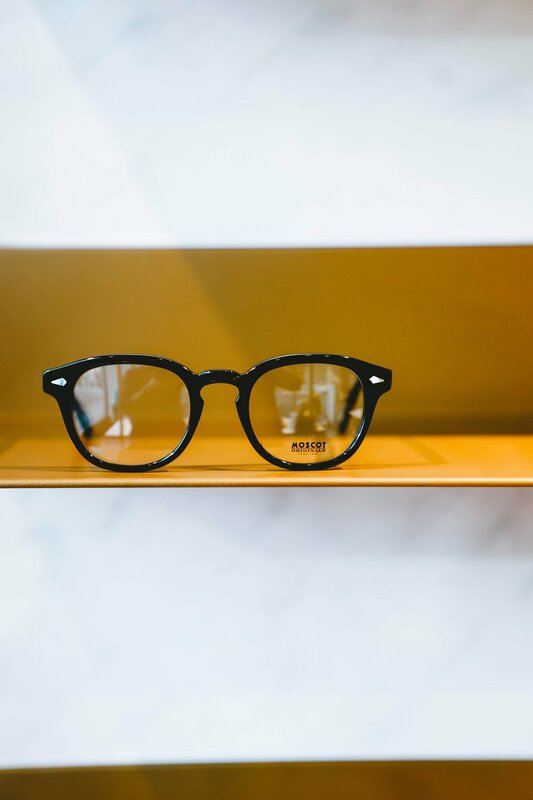 MOSCOT has always taken pride of their background as a local neighbourhood opticians, even after becoming one of the most renown global fashion brands in the market. ‘We are an institution and we are here to stay,’ said Harvey MOSCOT, the company’s 4th generation and current CEO. What we admire most about this brand, however, is their motivation to give back to the local community. A few years ago, Dr. Harvey Moscot started the company’s first charity, The MobileEyes Foundation, whose mission is to preserve sight and improve lives by providing free quality medical eye care and eyewear to New York City's under served populations. Our beliefs have never been so equally resonated with any other company unlike MOSCOT. We hold them very dear to our hearts and always love seeing them during our regular trips over the pond. And when you do buy your 1st of 5th MOSCOT frame, remember the glasses are not just a part of you, but that you are now a part of the family. To shop for MOSCOT, visit us at 227-229 Old Brompton Rd, Earls Court, London SW5 0EA. We can’t wait to see you!